College is the perfect time for you to invest in yourself through unique, enriching study abroad experiences. Businesses are looking for potential employees with cross-cultural knowledge and understanding. These opportunities will not only give you a competitive edge in the workforce, but they will also provide you with the opportunity to grow personally and academically. 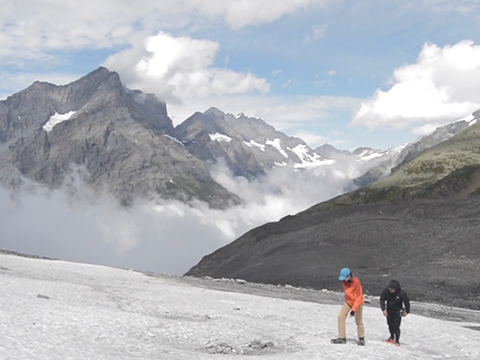 Expanding on the school's rich history of study abroad experiences, the School of Business is offering six featured study abroad experiences for the summer of 2019. Whether you want to expand your practical experience through case study or improve your leadership skills, there is a program for you. 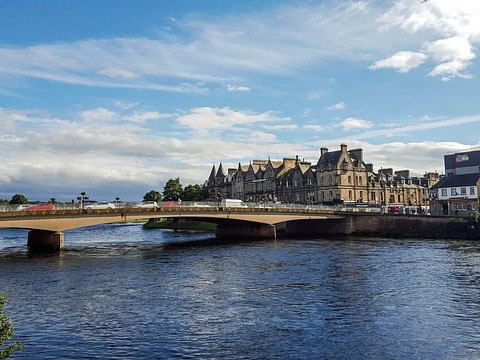 This is a multi-university faculty-led program including professors from Stetson, Jacksonville University and Utah Valley University all congregating in Inverness, Scotland, to teach students economics, management and marketing as they relate to the international community. The program includes a resume-boosting case study project with a local Scottish business. 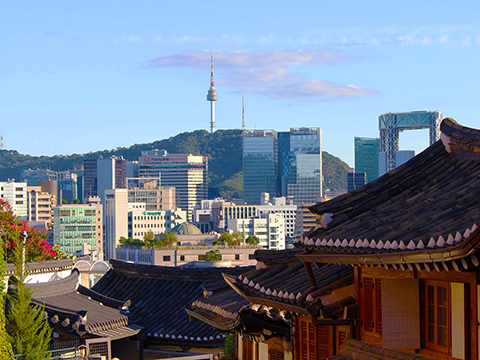 Take up to three courses at Hanyang University, located in the heart of Seoul. One course will be taught by business faculty member Isabel Botero. You can then take one to two additional courses from the myriad of offerings, including courses in the areas of art, business, communication, Korean language, science and more. Engage with Stetson faculty as well as the international business leaders who guest lecture in the Innsbruck course offerings. Visit multi-national firms as well as area World Heritage sights as you learn about the history of Europe and the implications of doing business abroad. A variety of business and non-business coursed are offered. Experience the rich history of the Summer Innsbruck program in a new format. Condensed to a three-week experience, Innsbruck Leaders enables you to develop your leadership skills and expand your knowledge of global markets through the lens of sport marketing. This program has no prerequisites and is open to all majors. Interest in outdoor physical activities such as hiking is encouraged. This course is designed to explore and experience management and entrepreneurial initiatives in developing countries. The purpose is for students to experience firsthand the challenges and opportunities that are involved when managing and creating new businesses. The course will take place part online and over spring break in the city of Medellin – Colombia, which has been awarded one of the most innovative cities around the world by the non-profit Urban Land Institute. Join Professor Paris in the gorgeous burgundy region of France to explore entrepreneurship in the wine and spirits industry. Dijon is situated at the heart of a plain near 2 converging rivers and the oceanic temperatures make it a perfect place for growing grapes. Dijon represents the very best of the Burgundy region - truly beautiful architecture, a fascinating historical legacy, a vibrant food and wine scene and much more. Beyond the programs featured above, a variety of faculty-led programs occur throughout the year. Options led by faculty from both within and outside of the School of Business exist. Any faculty-led program available through the Stetson WORLD office is eligible to count toward your Experiential Learning Requirement. Explore the myriad of faculty-led options on the WORLD website!